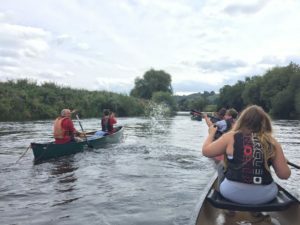 On Thursday 23rd August the SafeLane Global HQ team paddled down the River Wye for its annual Summer canoeing trip. 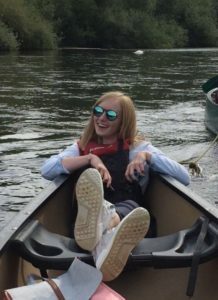 Whereas Manpower Executive Rebecca Wright opted for the more relaxed approach, leaving fellow colleague, Charlotte Haines with very sore arms! 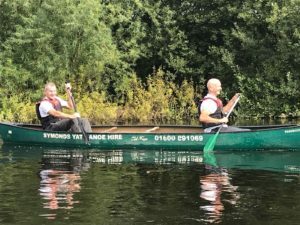 The river escapade encouraged mischievous behaviour from the Finance Department with Rob Hunter, Jonathan Kennedy, Alex Hammerton and Marta Adamiec soaking the Operations Team. 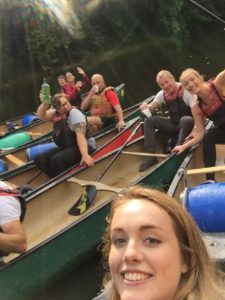 After an afternoon of adventure, everyone enjoyed a well-deserved meal and drinks. 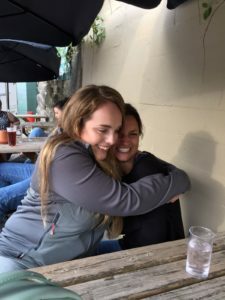 Kelly Durnan giving Alice Taylor a well-deserved warm up after being splashed by the Finance Team!